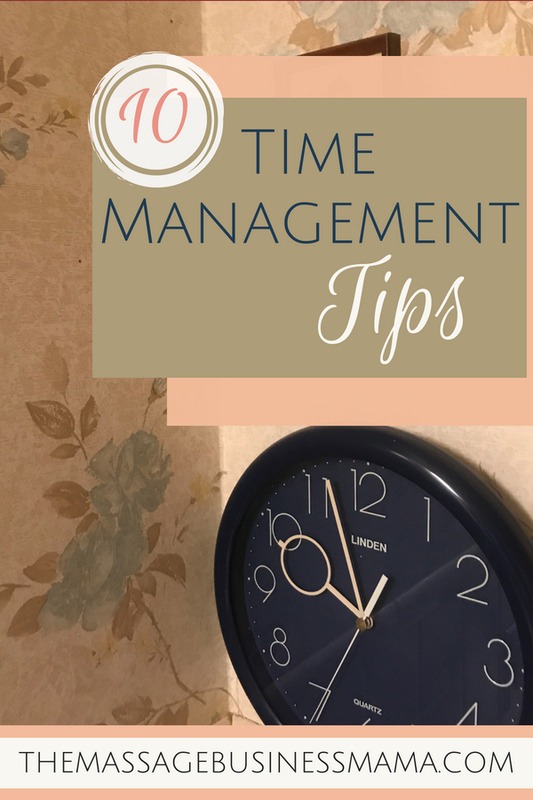 In this Post: A career as a massage therapist can mean scattered junks of time, learn tricks to implement time management for your workday. Become more efficient and productive with your time. When I went away to college, my dad gave me some time management advice. His advice was to treat my school day as a workday. Meaning start my day at 9 and work until 5, or 8-4, 10-6, etc. Basically, he thought that I should look at my day as a block of time to go to class, work on homework, and meet with advisors. This block of time was solely to be spent on school-related projects. This way, the time before and after my “workday” was mine to hang out with friends, hike, bike, or work a part-time job. This advice served me well. Instead of wasting the two hours between classes gabbing with my classmates, I would focus on my assignments. Then when my friends were struggling at the last minute to finish their paper, or study for their big test, I was reading Harry Potter. A massage schedule can be a lot like a college schedule. All over the place, with many breaks throughout the day. I have found my dad’s advice for college to be extremely apropos when it comes to massage as well. Take today for instance. I had a 9:00 1 hour massage, a 2:00 90 minute, and a 4:00 1 hour scheduled. While it would have been super easy to take the time between my 9:00 and my 2:00 and call my best friend, garden in my yard, or take my dog on a hike! I choose to spend the in-between time working on other things work related that needed tending. I returned phone calls and emails, I dropped some retail items that hadn’t sold off at a local consignment shop, I created a superbill for a client submitting her massage to insurance, I ordered some new sheets, and I cleaned and did laundry. With a little discipline, you too can implement such a schedule. I find that by doing this, I am much less frazzled and so much more productive! Think about what time of day you are most energized. Then build your schedule around those times. If you are more of a morning person, this might be a good time to strategize marketing ideas. Whether a morning or a night person, don’t try to work against your bodies natural rhythms. Make a routine, and be disciplined around guarding that routine. Allow yourself one day a week to work on “non-massage” things. Spending the in-between times of your workday meal planning, buying groceries, and scheduling doctors appointments. Take a minute to reflect on what your day looks like the night before. Check to see if anything unusual is occurring, like a client who you promised to bring something to, or a dinner you are heading to straight after work. Have a spot in your house designated for items you must take with you in the morning. The change of clothes for your dinner, the book for your client, your taxes for your meeting with your accountant. Having a spot designated for these items will help you remember to actually take these things with you when you leave the house. Before you leave your home, map out your day. I like to take the time while I am showering to brainstorm everything I want to achieve for the day. Taking just 5 minutes to focus on this really helps me accomplish so much more than when I don’t meditate on these goals. It also helps me to remember things I may have otherwise forgotten. Have boundaries around social media, emails, and other online distractions. While I definitely implement things like Facebook in my marketing, and scheduling for that matter, it is way too easy to get sucked into a time warp. So set time limits. Say to yourself; I am going to check Facebook for 5 minutes to see if anything needs my immediate attention and then get off. Don’t get overwhelmed with everything on your to-do list. Focus on what you can achieve and not on what you cannot. Plan for everything to take longer than you expect. It always does. Allow yourself the grace to have an “off” day every once in a while. Just make sure to reset after such off days! By implementing some of these changes, you will accomplish more, be more efficient, and be able to be more present with your loved ones once your day has ended. I won’t say I’m always perfect with this. Sometimes I get in funks. Last week I attended a funeral on Tuesday of a dear client of mine. It affected me big time! I just couldn’t get myself in work mode the rest of the week. But you know what, that’s okay. I allowed myself the grace to mourn his passing, and this week, I refocused. As you begin to make these changes, allow yourself grace. It won’t come overnight. But just keep keeping on. Think I will attempt some of these techniques, but it will require a lot of discipline – wish me luck! Great advice Ali! 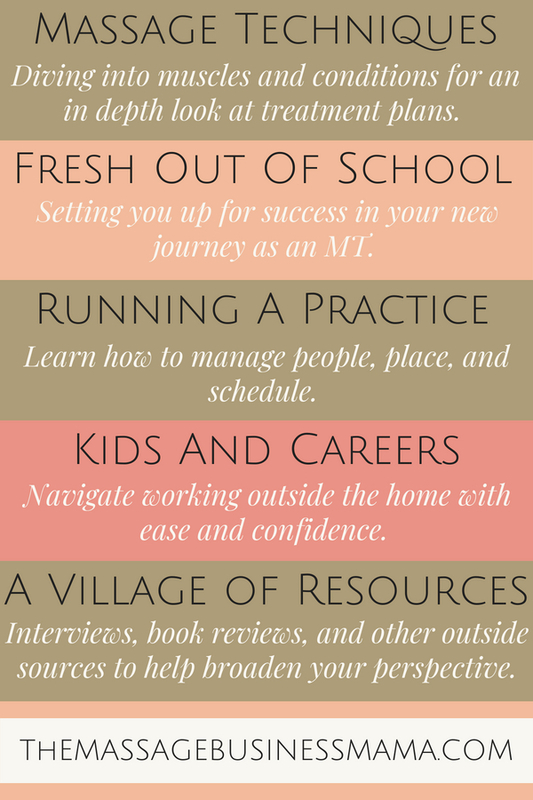 I’m not a massage therapist (as you know) but i recently started using this 9-5 philosophy as a stay at home mom. It’s helped me to stay focused and accomplish my to do list rather than be overwhelmed by it. That mentality has really helped me to prioritize getting everything done ( from keeping the house clean, quality time with baby, bills, grocery, appts, etc. the list is endless) when i treat my day with a “work day” mentality. Love your blog! Oh so glad to hear this technique is working for you! Great ideas but a little late for me. I am completely retired and this is the first time since I was 15 that I haven’t had at least a part time job. It is kind of weird to have no responsibilities to anyone else. Some well earned freedom is such a blessing! Glad you are enjoying retirement!